A smartphone showing an Instagram profile. Ever wanted to share a particular Instagram photo or video post) on your website, then frustratingly tried to save the photo to your computer and upload it to your site? Instagram has an embed feature that you can use to easily insert photos or videos into the HTML of your website or blog, and you don’t have to be a web designer to figure out how to do it. 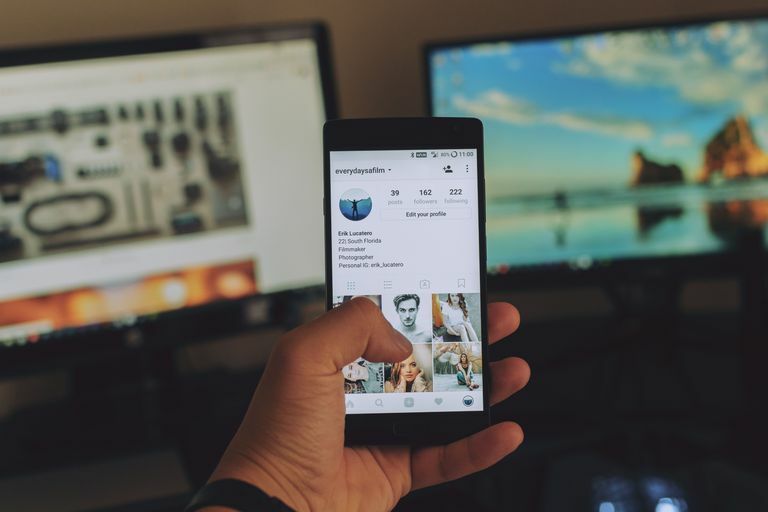 The benefit of embedding Instagram posts directly into your web pages is that your website visitors can interact with the post as if they were on Instagram. They can click on it to go to the post page or the user profile, which they'll appreciate if they're already Instagram users themselves. Click through the following steps to see how you can easily embed an Instagram photo or video on your website in just a few minutes. First things first: You're going to need to access Instagram on the web and not the mobile app to do this. If you need to embed a post that you've found on the app, you can tap the three dots that appear in the top right corner of any post and then tap the Copy Link option that appears in the menu to copy and paste it somewhere to access it on the web. For example, you might want to paste it into an email message and send it to yourself so you can open the link to that post on a desktop computer. A photo post on Instagram.com. For this example, we’ll use a photo post from the official Lifewire Instagram account, but you can use any Instagram post that you want. If you already have the URL for the post, just click on it or copy and paste it into your web browser. The URL for the Instagram post is going to look something like this: instagram.com/p/xxxxxxxxxx/. However if you're already on Instagram.com (on the web, remember, not the app) browsing your home feed, a profile, a tag or the Explore page, you don't even need to open the post's page in order to embed it into a web page. Instead of right clicking your mouse and choosing “Save As” or taking a screenshot of the image, you’re simply just going to look for the three dots in the bottom right corner of the image box, which will be there whether you're viewing the post as a pop-up over the page, in your feed or on its own post page. Click on those three gray dots and you should see several options pop up. Click on Embed. A box will pop up in the middle of your screen displaying a string of code and a blue button. If you want to include the caption to show up in the web page, you can leave the Include caption box checked off, but if you just want to show the photo or video, you can uncheck it. You don’t have to know how any of the code works or what it means in order to properly embed the photo or video into your site. Simply click on the blue Copy Embed Code button to automatically copy the entire string of code. You’re done with the Instagram page now. Next, you can move on to your website or blog where you want the post to be displayed. Since you aren't likely to be editing your website on your phone, you need to paste that code into an email and send it to yourself, so you can use it on another device. If you are editing your site on the same device as your Instagram app, you need only paste the code into the HTML of your website as described below. An Instagram post's embed code. It’s up to you to access the admin area or dashboard of whichever website or blogging platform you’re using, and find the right area to insert the code. For example, if your site runs on WordPress, you just need to access your editable post or page in Text mode (rather than Visual mode), right click in the editor, and select Paste to put your copied embed code into the box. Save it, center it if you like, publish it and you’re done. An Instagram post embedded in a web page. Take a look at the published page online to see the new Instagram photo or video neatly embedded right into it. You should be able to see the photo with the link to the Instagram user’s name at the top as well as the number of likes and comments beneath it. If it’s a video instead of a photo, visitors to your website will be able to play the video right there on your site. Of course, if nothing shows up on your site, you may have pasted the code in the wrong place or perhaps didn’t copy the full string of code. Check out this great HTML WordPress help article if you’re having any trouble.